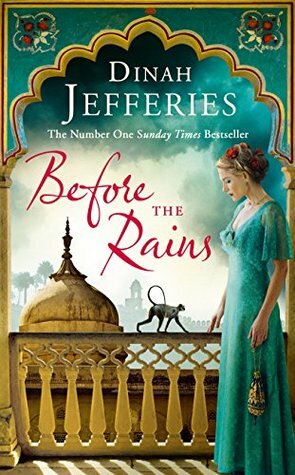 There is something very atmospheric about this book, as the heat of India becomes intense as they wait for the rains to break the searing heat, to bring water and life to the land it also reflects the tension within the palaces, within the British position and with the main characters of this story. Photojournalist Eliza returns to India, it is 1930 she is widowed and she is escaping her life with her work. Given the opportunity from a family friend, Clifford Salter and a member of the British Government, Eliza gets the chance to spend a year taking photos, to create an archive of a royal family in one of the states. The last time she was in India, she watched her father die in tragic circumstances. Eliza hopes that she may well be able to put some ghosts to rest. Although she cannot guarantee she will not in fact raise some ghosts from the past. She meets Jay, the second son and not ever destined to become the Prince. There is a spark of something more than the respect that develops for each other. Jay shows Eliza parts of India, for her project but Eliza shows Jay through her pictures, her eyes exactly what his people are living like, the poverty that they endure day after day. Jay shows how that British Rule is perhaps causing more trouble that it is worth and that the people of India are capable of forming their own destinies without colonial rule. Eliza and Jay, clash as two very different worlds collide, through that collision that spark begins to develop. But it can never be. Can it? This rich evocative novel is a love story, a love story that is forbidden in a land where love is not considered the reason for relationships to form. It is all about power, money, alliance and land. As with all her novels if you have ever read them, the author paints a picture of a place where the colour leaps from the page, the smell wafts past as you immerse yourself in the culture which form the background of the story. But of course it is now always the background it actually is the story as well as the characters. With intrigue, deception and mistrust within the palace walls and all over India, Eliza is there at a time when perhaps barriers could be broken down…..
A compelling historical fiction novel which will evoke some rather upsetting emotions within the reader as the follow Eliza and Jay’s story. Vividly descriptive and beautifully written this is a book you must read. Before the Rains is out now. Please check out my blog for other Dinah Jefferies novels, I recommend them all.